Kids can assemble at lunch. Pack a container with avocados mashed with lemon juice; top with a layer of shredded Monterey Jack before sealing. 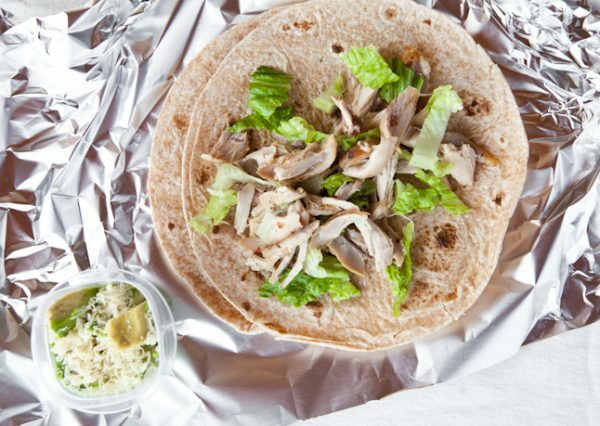 Fill two small whole wheat tortillas with shredded rotisserie chicken and sliced romaine lettuce and store in re-sealable plastic bags.